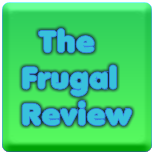 FRUGAL REVIEW: New Grocery Coupons And Friday Freebies! Save 100% when you buy ONE (1) 5 oz. box of Mike and Ike® Chewy Fruit Flavored Candies..Expires 9/21/2014.Save 100%.